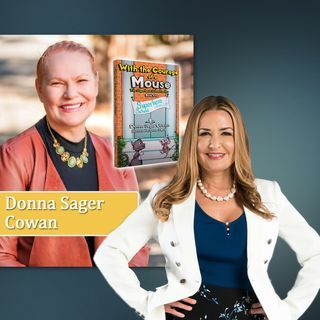 Donna Sager Cowan author and creator of the The Superhero School Series joins me in studio to discuss her new release, With The Courage of a Mouse, book one in the series. Donna and Ashley discuss what inspires her to write and to begin the book series, her passion for shifting the stigma of homelessness, and how we as a society can begin to create a collectively healthy pattern to release and shift the stigma that is homelessness. Whether you've been affected by homelessness, know someone ... See More who is, or you want to make a change and help, you can't miss this show.